One of the best ways to mix up and dress up the outfits in your suitcase is with jewelry. I know, I’m stating the obvious, but stick with me. For many years, I would stuff my suitcase with multiple drawstring pouches filled with chunky, heavy jewelry, and then wonder why I wasn’t able to lift my bag. Looking back, I had a clear case of what I will call accessory anxiety. It’s true: I feared that I wouldn’t know what jewelry to wear with each outfit, so instead I just brought EVERYTHING. Sound familiar? Bringing everything is definitely one way to combat accessory anxiety. 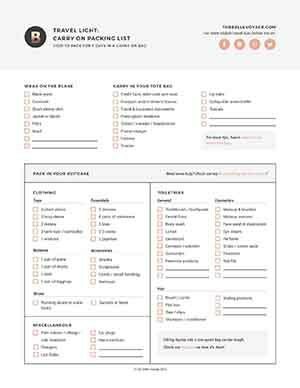 Over the years I have developed an alternative approach that seems to work much better: instead of bringing everything, I bring a few things that go with everything. Simple, no? 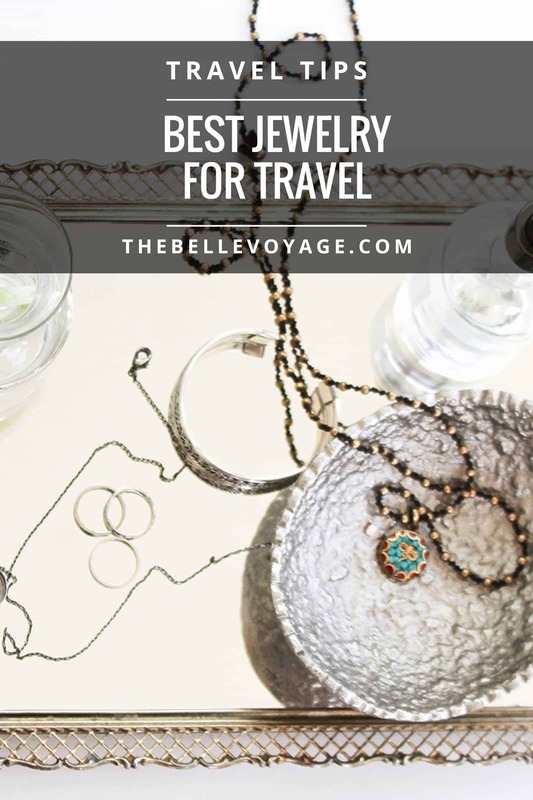 Behold my favorite jewelry for travelers – these are often all that I pack! The best way to travel with jewelry is to stick with one color palette: gold or silver. Most of my jewelry happens to be gold, so that works for me. I bring two necklaces: one long statement necklace in a neutral color, and a simple tiny charm necklace. These both go with just about everything and can transition from casual (think a maxi dress, shorts and a tank, or a sundress) to my most polished business suit. Next, I bring a pair of gold studs that have some character, and a chunky bracelet that can make any simple outfit look a little more glam, but is still preppy enough to pair with a blazer. I throw on the earrings, the bracelet, and one of the necklaces with what I’m wearing on the plane, and the second necklace goes in my suitcase. Done! There You Have it – The Best Way to Travel with Jewelry!